Nowadays under the name of J - Fruit Product, we have been selecting Thai Fruit comprising of Longan, Lychee, Coconut, Rose apple, Mangosteen, Pomelo, and Rambutan with careful attention to quality and stocking control in the packaging factories and the three frozen storage rooms for fresh fruit which are standardized and certified by the Good Agricultural Practice (GAP), Agriculture department, and the Ministry of Agriculture in order to have fresh and clean fruit. Furthermore the packaging factories are certified by the Good Manufacturing Practice (GMP) from the Food and Drug committee, at the Ministry of Health. 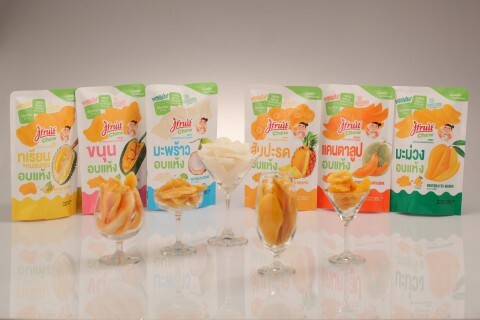 We guarantee the quality of our Thai fruit exported to other countries by ensuring it is as fresh as when it was picked from the trees, fields or vines, in accordance with the slogan of J- Fruit "Fresh from Our orchard." Durian is a fruit rich in energy and nutritions. 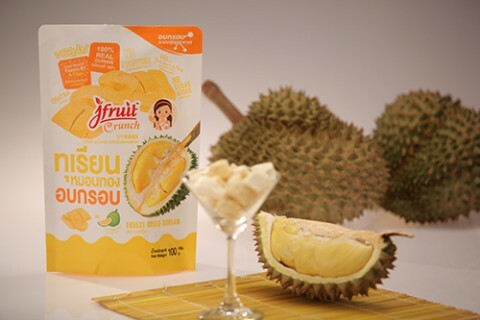 J fruit freeze dried durian, processed under the most up to date technology, retains most of the fruit's benefits. The crunchy texture with natural taste and aroma of durian, makes it a delicious healthy alternative snack. 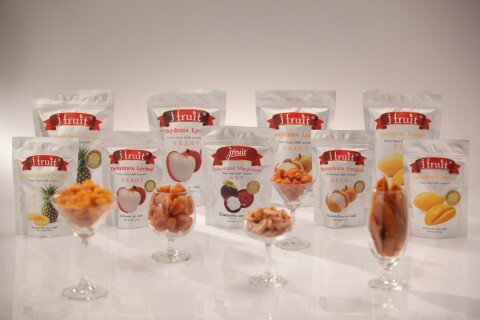 J fruit Chew = Dehydrated fruits made from 100% real fruits. The fruits are processed under the most up to date dehydration technology. This enables you to have your favorite fruit anywhere at anytime. We provide great variety of fruits where you can choose to consume throughout the year, despite their seasonalities. Get the taste of real fruit with J fruit Chew.